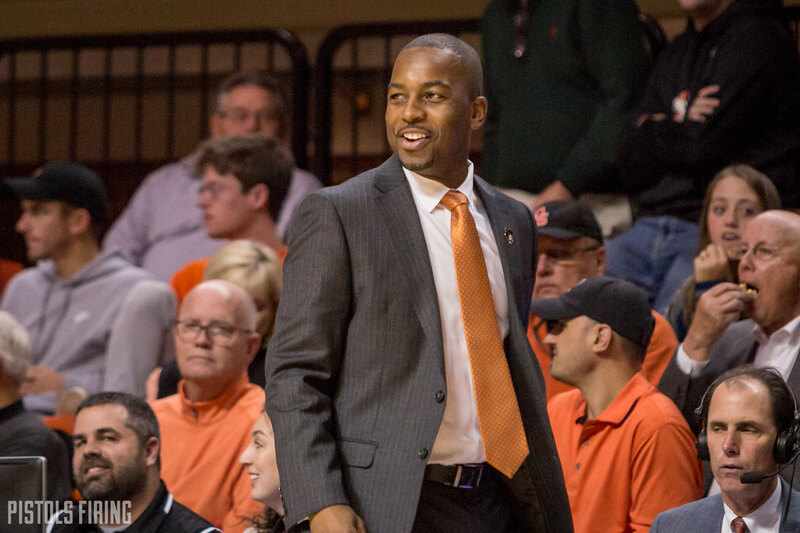 Mike Boynton has a new assistant in Erik Pastrana, confirming reports from last week. Pastrana, who was an assistant at Florida Atlantic this past season, coached alongside Boynton under Brad Underwood at Stephen F. Austin. The Lumberjacks were 89-14 while Pastrana was on campus, winning three straight conference titles and two NCAA Tournament games. SFA was also 53-1 in Southland Conference play during that time. Along with reports of Pastrana’s hiring came reports of him replacing David Kontaxis on Boynton’s staff. Kontaxis is no longer listed on OSU’s roster, but Pastrana is with John Cooper and Scott Sutton as the Cowboys’ other assistants. Kontaxis served as a primary recruiter of the eastern United States while at OSU. He had roots in the AAU scene on the east coast, working with DC Assault (Washington D.C.) and Team Loaded (Virginia/North Carolina). Kontaxis’ relationship with 2020 five-star prospect Isaiah Todd helped get Todd to Stillwater on a pair of visits. Pastrana too has experience on the AAU scene. Pastrana has spent time coaching the Florida Rams and KC Run GMC. Along with FAU and SFA, Pastrana has coached at Kansas State (graduate assistant), Labette Community College (assistant), Northwest Florida State College (assistant), Florida International (assistant) and Daytona State College (head coach).